Take a few steps outside of your comfort zone today, you might find new freedoms there! Have a beautiful day! I have a theme this week! Slow Cooker recipes! I found a similar recipe online and changed it up and the results were amazing! This one is a keeper! It would be a fantastic recipe to use for a dinner party… fix the main dish and forget it in the slow cooker than all you have to do is the sides! 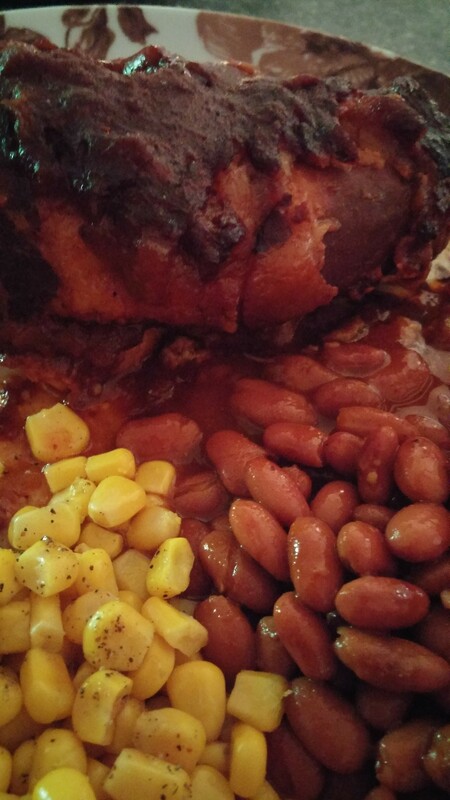 I served it with a can of chili beans and a can of corn, super simple, super cool meal by not heating up the kitchen! It would also be great served with a few store-bought sides, maybe cole slaw and or potato salad! ENJOY! 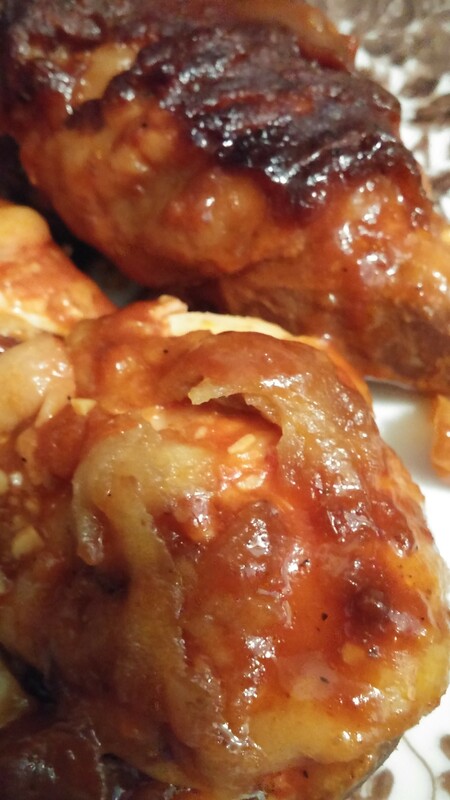 Mix 1/2 cup BBQ sauce with 1 apple peeled and grated, juice from 1 lemon, 1/2 chopped onion, red pepper flakes, minced garlic and onion powder. . Wrap 2 chicken breasts with 6 slices bacon (3 on each piece) and place in the bottom of your slow cooker. Pour sauce over top. Cook on low 6 to 8 hours. Test with a thermometer. ENJOY!